I have always loved Rag Bowls. 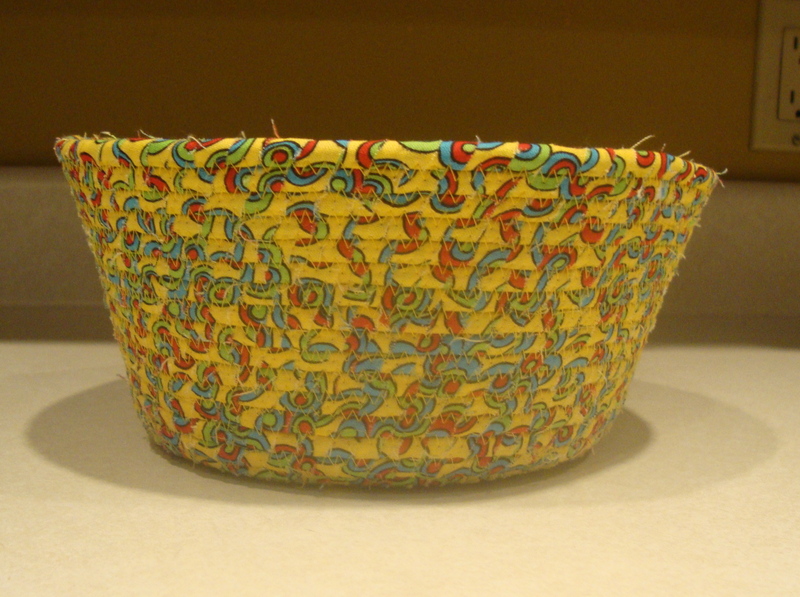 Fabric Bowls…whatever you call them, I love them. So, this last weekend I went browsing around a quilt store in Des Moines (Clive) and right there, front and center was a book with my name written all over it!!! “It’s a Wrap” was the name of it. I had intended to find quilting supplies, but left with this instead. I am telling you, this store was a little off the beaten path, but WELL worth looking for. I believe the name is Creekside Quilting. If you are in the area, you need to seek it out!!! The book is now mine as well as some of the WONDERFUL fabric the store had to sell, the clothesline I needed, and the inspiration I needed to get the dust off my sewing machine. I am set!!! These are so fun to make and the variations are ENDLESS. I started out basic, but I am ready for advanced techniques already!! Beginning process. Could easily be made into coasters, table runners, placemats....or bowls!!! I pick bowls. 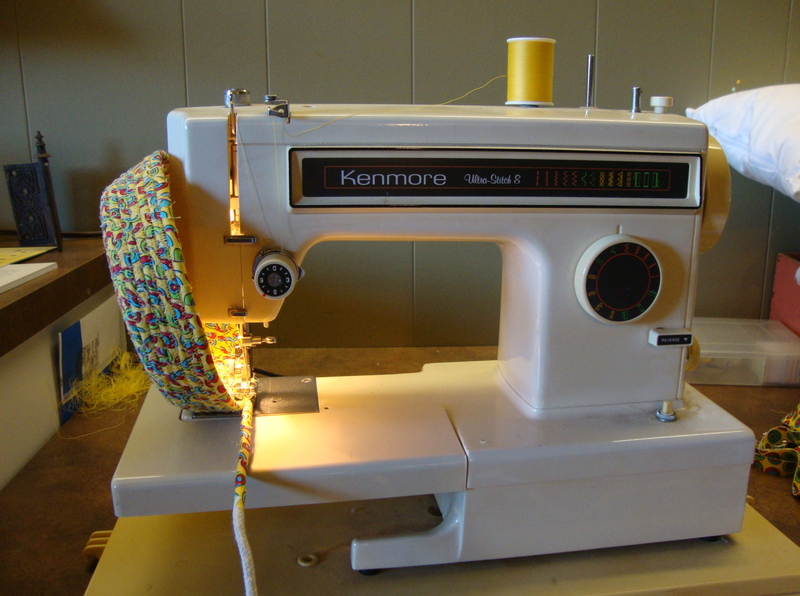 Cotton clothesline, wrapped with ANY pattern or solid cotton fabric, coiled together row by row…..
it is taking "shape"...... yeah!!! 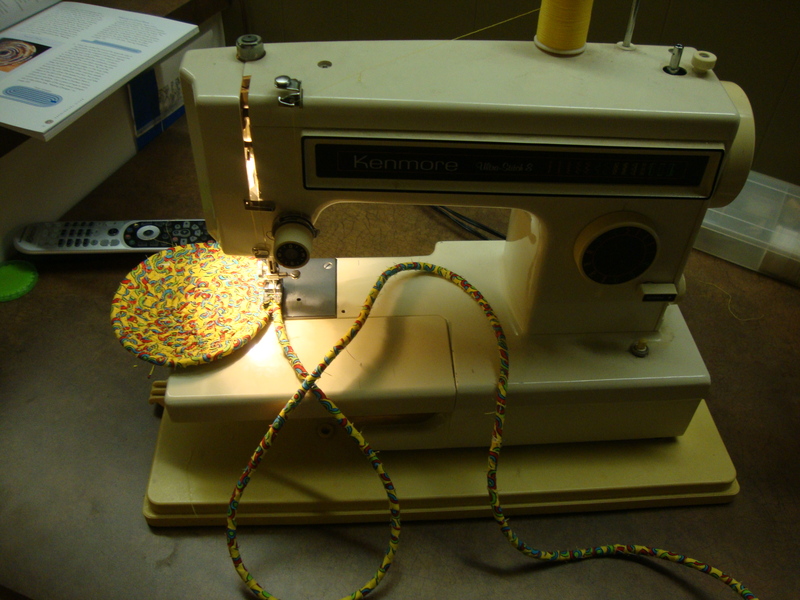 Then… zig zagging rows together, and sewing at an angle when the base is the desired size…. Ta-Da !!! the finished product!!! and continue adding rows to the desired height. Done. Isn’t it awesome, if I might say so myself? Now, I already have BIG plans for more. Adding coiled handles, different patterns all within the same bowl, making them in “school” colors, adding a different colored “rim”, adding beads, and possibly even trying oval shaped bowls. Plain ones, colorful ones, table runners, coaster sets……. Not to mention how many of these creations are going to make their way under the Christmas tree. Honestly, I would LOVE to have a handmade gift like this. and it is a frugal and repurposed project. I will be digging deep to find the FUN scraps of fabric I have in my stash, and making really interesting combinations of lots of things. I am sure there will be many more pictures to follow…eventually.